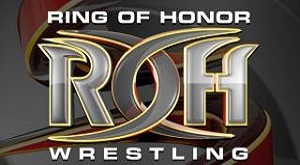 Hello Ringers, Nathan here to review another jam-packed hour of pro wrestling with this week's edition of ROH TV. There were things on this episode that I both really liked and didn't like so much, but we will get to that as the review progresses. Nigel McGuinness joined Kevin Kelly this week on commentary as the Steve Corino storyline continues. They run down the show and send us to the ring for the first match of the night. Thoughts: Finally got to see Lio Rush with my own two eyes and he didn't disappoint in this match. The match begins and Rush comes out like a house of fire and nails Kincade with an early Enziguri to get an early near fall. Kincade rolls out to the apron to recover for a bit before hitting a flipping neckbreaker to the inside of the ring before locking on a Gory special. Rush is down and kips up to kick Kincade in the face, Kincade rolls to the outside of the ring and gets hit with a suicide dive from Rush. Kincade takes time to recover while Lio rolls out to the apron. Kincade goes coast to coast across the ring to nail Rush with a kick. Kincade hits a splash on the outside of the ring and rolls Lio back into the ring to pick up a near fall. The match came to an end when Lio Rush hits a back flip Spanish Fly in a very fun match to kick off the hour. Match Result: Lio Rush defeats Jason Kincade via pinfall after a back flip Spanish Fly to advance to the second round of the 2016 Top Prospect Tournament. A great way to wrap up the first round of the 2016 Top Prospect Tournament as we will get into the second round of the tournament next week. From there, we go to the second match of the night. Thoughts: I still don't understand why Ferrara and Coleman are a team all of a sudden but I guess it's going to be a continual thing. This match honestly did nothing for me, the match began with Caprice and Silas slugging it out in the center of the ring, Caprice tags in Ferrara who gets a near fall thanks to a quick roll up and follows it up with a German Suplex. Bruiser comes into the ring illegally and hits a backdrop driver on Coleman and Young follows it up with a moonsault to get a near fall. The match breaks down a bit and Young and Bruiser hit Coleman with a flurry of double team offense in the corner. Coleman recovers long enough to hit a hurricanranna and goes for the pinfall on Silas but Bruiser breaks it up. Silas Young hits Misery and Ferrara dives to the outside of the ring and hits bruiser with Tornado DDT. Back in the ring, Caprice Coleman makes his way up to the top rope and nails Silas Young with the Sky Splitter to pick up the pinfall victory after interference from Dalton Castle and The Boys. Match Result: Caprice Coleman and Will Ferrara defeat Silas Young and Beer City Bruiser via pinfall after Coleman hits the sky splitter on Young. Okay match, my only complaint is Silas Young taking the fall, but maybe ROH wants to protect Beer City Bruiser though I can't for the life of me figure out why. From there, BJ Whitmer comes out to the ring to say a few things about Steve Corino. BJ wants to know who Corino's mystery guy is that apparently will be facing him soon (perhaps at ROH 14th?). Corino makes his way out to the ring and promises BJ that a match between BJ and himself will happen down the line. Then Adam Page who is in the ring attacks BJ Whitmer from behind as he is revealed to be Corino's secret weapon. Page and Whitmer begin fighting it out as we go to commercial. From there we go to a recap of a match from last week as The All Night Express took on War Machine. From there we go to the next match of the night. Thoughts: The match begins and Mark immediately hits a clothesline on Hughes to get an early near fall. Briscoe gets another near fall after hitting Hughes with a brainbuster that probably should have finished off the match in all honesty. Mark hits a Russian Leg sweep to get another near fall as Hughes kicks out again. Hughes hits a sidewalk slam to get a near fall of his own in his only bit of offense of the match before Mark hits Hughes with a Fisherman buster and follows it up with the Froggy Bow to win the match via pinfall. No offense to Mark Briscoe, but that match didn't do anything for me due to the fact that his opponent was an absolute nobody. From there, we go straight into the main event of the night. Thoughts: Before I write anything for this match, let me start by saying that anything that I write about this wont do it justice because it was completely crazy. The match begins and Nick kicks ACH square in the jaw, Sydal dives over the rope and takes both of the Young Bucks down with a twisting body splash on the outside of the ring. Back in the ring, ACH hits a leg lariat followed by a dropkick, but gets kicked in the face by Matt. ACH kicks Nick and knocks Matt off of the apron before hitting Nick with get over here. Sydal tags in and hits a standing moonsault for a near fall. Both the Bucks superkick Matt while he's on the outside of the ring, ACH dives to the outside of the ring only for the Bucks to catch him with a superkick to the face. Back in the ring, Nick hits a senton bomb on Sydal to allow Matt to get the near fall. Sydal manages to telegraph More Bang For Your Buck to allow ACH to hit the Dum Dum stomp off of the top rope. The match comes to a conclusion when Sydal hits a shooting star press on Nick to score the victory via pinfall. Match Result: ACH and Matt Sydal defeat The Young Bucks via pinfall after Matt Sydal hits Nick Jackson with a shooting star press. Good match to bring an end to an exciting hour of wrestling, the only thing on this show that I didn't like was the Briscoe/Hughes match as I thought it wasn't really needed so if you are pressed for time you can skip that match and you wont miss a thing. That however will do it for me and another ROH review and once again I thank you for reading. Feel free to drop me a mention on twitter and lets talk some wrestling, also make sure to follow the Eyes On The Ring main account @EyesOnTheRing and tweet us your thoughts on anything wrestling related. In closing, make sure to check out the radio show tonight and every Sunday night as we come to you live via http://www.BlogTalkRadio.com/ElitePodcastNetwork at 11:30pm EST. Last but certainly not least be sure to visit and like us on facebook at http://www.Facebook.com/EyesOnTheRing until next time ringers keep your Eyes On The Ring, see you next week.